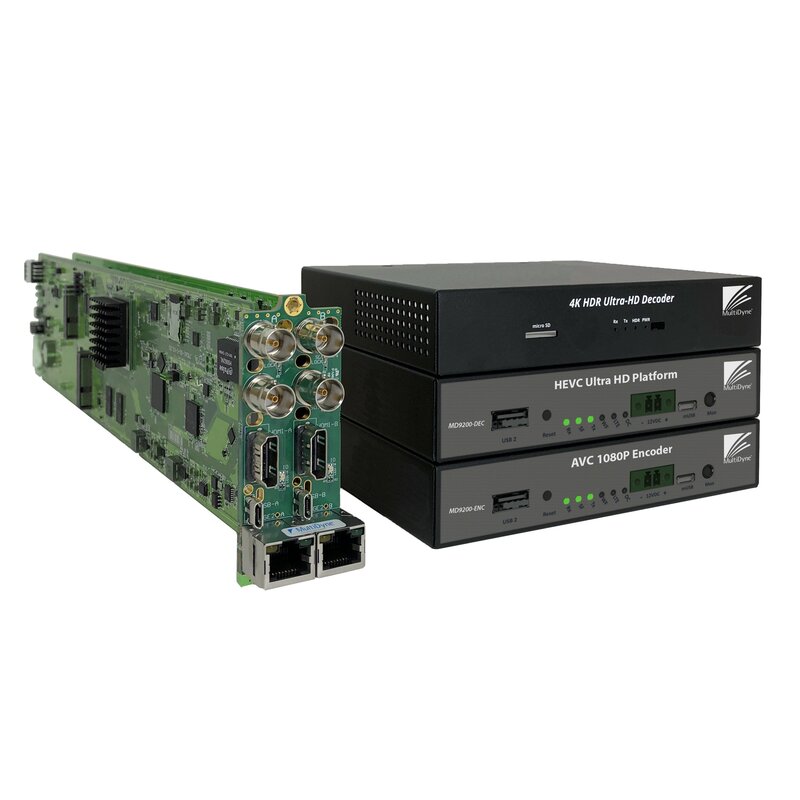 MultiDyne Fiber Optic Solutions (Booth C5013) will officially enter the compression market at the 2019 NAB Show with a specialized range of professional, broadcast-quality encoders and decoders for streaming media workflows. The new MD9200 range strengthens the company’s value proposition with OTT and IPTV service providers moving SD, HD, and 4K/UHD content over public and private IP and fiber networks. The MD9200 series will provide exceptional value in IP-based contribution applications for news, sports, and studio links, according to Jesse Foster, MultiDyne’s Director of Product Development and Western Region Sales. Foster also sees opportunity for MultiDyne to provide value to content delivery and digital signage networks, with support for CDN transcoding, on-demand playback and 4K/UHD content looping among other applications.